Elaine M. Johnston, age 91, of Alexandria, formerly of Parkers Prairie, died Sunday, September 2, 2018, at Bethany on the Lake in Alexandria. A memorial service will be held 11 a.m., Saturday, September 8, 2018, at Immanuel Lutheran Church in Parkers Prairie with Rev. Kirk Lee and Rev. Mark Schwarz officiating. Music is provided by organist, Steve Odland and soloist, Mark Odland. Burial will take place at a later date at the Parkers Prairie Cemetery. A visitation will be held one hour prior to the service at the church. Elaine Margaret was born on March 30, 1927, to Anna (Bettermann) and August Grothmann in Grandin, North Dakota. She was raised on the family farm in Grandin with her eight brothers and sisters. Elaine graduated from Grandin High School in 1945. Following her education, she helped on the farm for two years before she moved to Fargo, North Dakota. Elaine worked for Northwestern Bell, Fargo Foundary, and the Farmers Grain and Stock Exchange while living in Fargo. She was united in marriage to Robert James Johnston in 1951. Together they moved to Yakima, Washington where they lived for two years before returning to Fargo where Robert attended the University of North Dakota to complete his teaching certificate. Their marriage was blessed with two daughters, Peggy and Patricia. The family moved to Parkers Prairie in 1955, and their son, James was born in 1961. 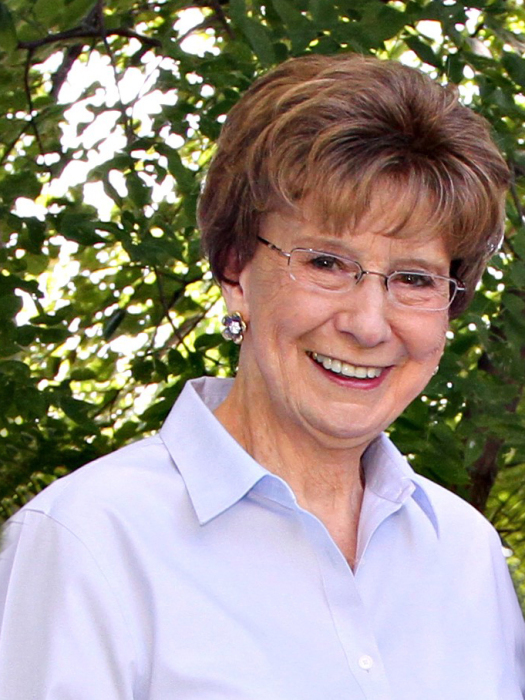 Elaine worked at Parkers Prairie Elementary School as the principal’s assistant until 1993, and retired after 27 years of service. She was an active member of Immanuel Lutheran Church where she sang in the choir and served on the Ladies Auxiliary. She is preceded in death by her parents; four brothers, Wilhelm, August, Carl and Henry; and four sisters, Martha, Anna, Marion, and Irene. She is survived by her husband of 67 years, Robert; three children, Peg Johnston of Alexandria, Patricia (Dr. Mark) Odland of Carlos and Jim Johnston of New York City, New York; four grandsons, Alex, Mark (Rachel), Matthew (Kristin), and Anthony (Ashley); 10 great-grandchildren; and several nieces and nephews. Honorary pallbearers are her grandsons.